I am so excited to share a curated list of what I believe should be a part of every girl's fall wardrobe staples! 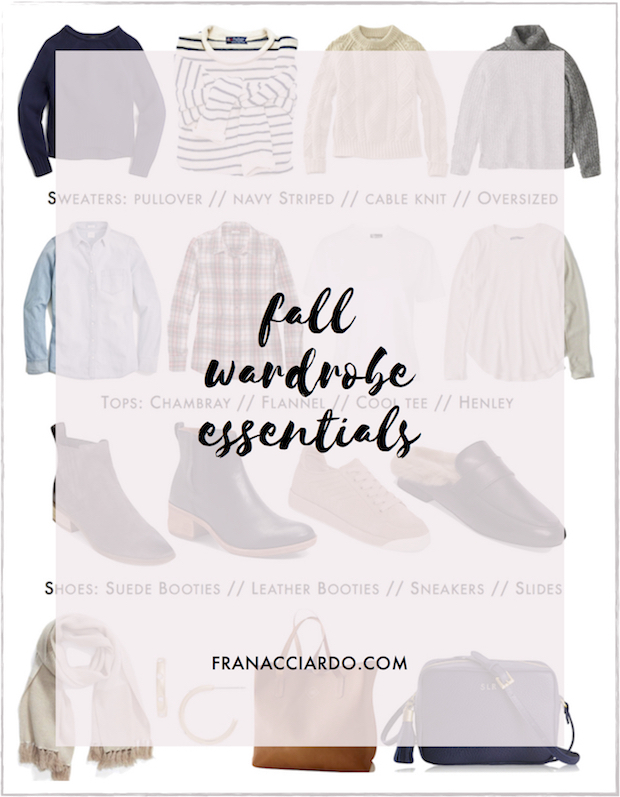 From a casual fur vest to a velvet skirt and suede booties, I have included a few of my favorite pieces for the season in this graphic, and I hope you will share with me your fall staples, too. Some of my favorite blog posts to share are the ones that require the most work. This particular post for example took me over 6 hours just to make the graphic, and even more time to write and compose. I'm not saying that to complain or make myself sound assiduous, but rather to highlight how much I love to blog and share content with you guys that I am truly passionate about! I love each and every one of the pieces above, and I think they are all a staple in curating a closet that can mix together for easy, classic, simplistic outfits. And, that is just how I would describe my style. What are some of your fall staples? Do you agree with any of the particular pieces on this list? I love the scarf and the black skirt you featured. I'm on the hunt for black jeans without rips. Do you have any recommendations? My favorite pair without rips is by BDG from Urban Outfitters! They're high waisted skinnies and they're so, so comfy and stretchy! !